Having a (very) niche obsession such as the Waterlow Estate means months of trawling the internet finding very little and then once in a while hitting the jackpot. It was in this vein that I recently happened across The Streets of Waterlow Estate and Bethnal Green Facebook group. I’m not sure why I’d never tried searching Facebook before but this group has proved to be a treasure trove of memories and photographs of the Estate. 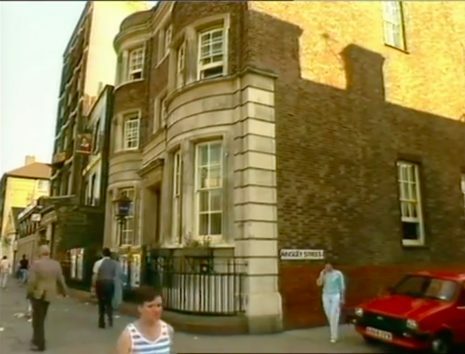 A particular highlight was a link to a clip from Thames News in 1982 detailing the state of disrepair the buildings had fallen into by this time. You can see the clip here. I dropped Benard a line and he very kindly agreed to talk further with me about his memories of the Waterlow Estate. 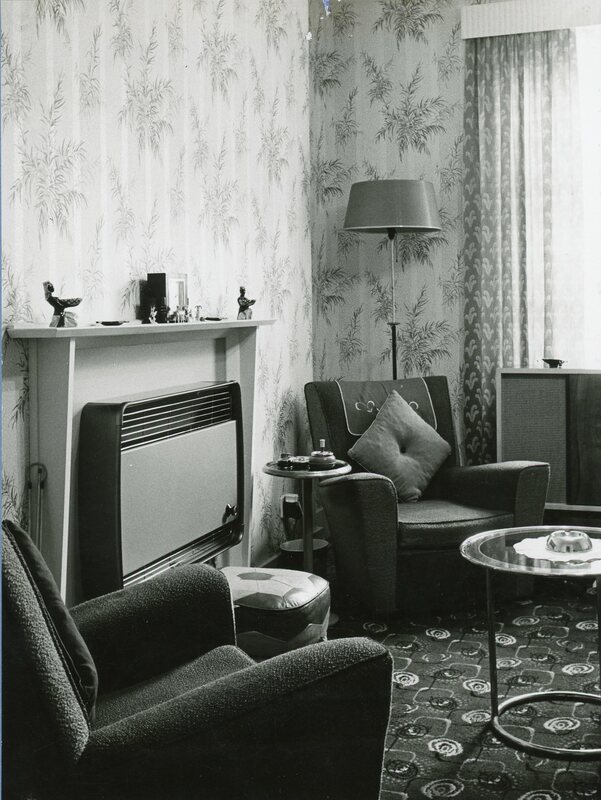 Two more images from the treasure trove at the Tower Hamlets Local History Library and Archive, this time showing the interior of the Ainsley Street flats in the 1960s. On the back of the photographs it says ‘Waterlow Estate – Ainsley Street, converted flats’. 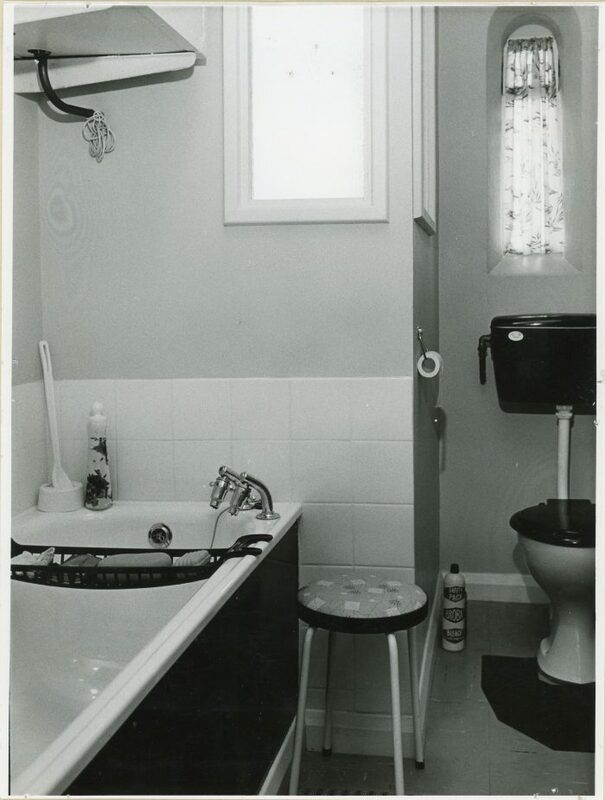 They are dated 1963 which is when the Local Authority took over from Greencoat properties, so I’m guessing these images are some sort of promotional material. These images are reproduced with the permission of The Tower Hamlets Local History Library and Archives. On the corner of Ainsley Street and Bethnal Green Rd sits an interesting building. Numbered 458 Bethnal Green Road, it is now the home of Providence Row Housing Association who work in the local area helping people at risk of homelessness. 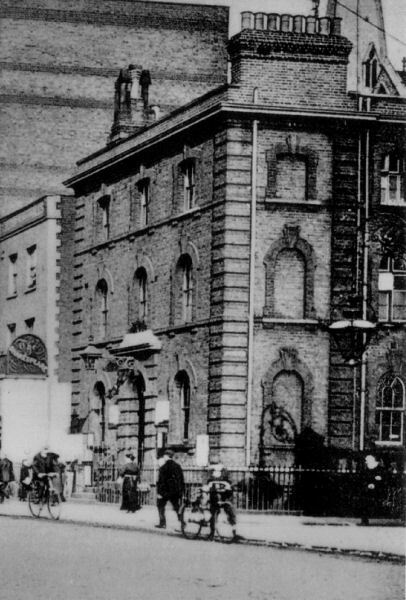 However it was once Bethnal Green Police Station. I’m unsure when the Police Station closed but I’ve managed to find two pieces of video footage showing the Station when it was up and running. The first seems to be some exterior library shots for Thames TV News from the 1980s. The second is more extensive and is a collection of footage and photographs from someone who worked in CID. The video is captioned as being shot in 1991. Historically the station was home to the J Division from around 1868 until 1933 when it fell under the H or Whitechapel division. There’s a fairly detailed breakdown of the history of the station on Bryn Elliot’s Police history site. Unfortunately I’ve been unable to find much more about the Police Station. I’d love to hear from anyone that knows about it’s history. Please get in touch via the comments. Discussion and photographs from the area in relation to the ‘Jack the Ripper’ murders on the casebook website.